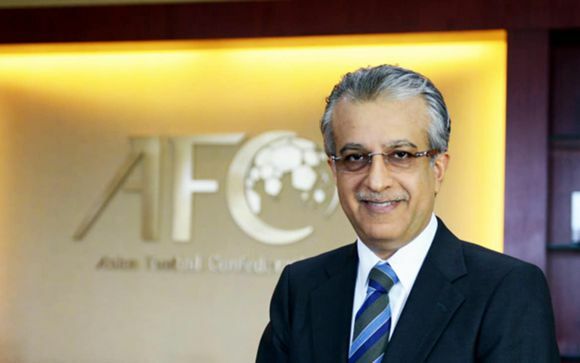 File photo of AFC President Shaikh Salman. The stage is set for a dazzling night of celebration on Wednesday as Asia's finest stars gather in Oman for the highly-anticipated AFC Annual Awards Muscat 2018 at the Oman Convention & Exhibition Centre at 7:00pm local time. AFC President Shaikh Salman bin Ebrahim Al Khalifa said: "The AFC brings the stars of Asian football together for a celebration of their outstanding performances in a season which again has promoted the ever-improving standards of our game across this great continent." "Everyone who has been nominated for an award – whether it be a Member Association, a coach or a player – provides inspiration for the next generation in their field and leaves a legacy of excellence and achievement. "And there is no better time to mark another successful year in Asia than now as we are just a few weeks away from the AFC Asian Cup UAE 2019 – which will be the biggest and best Asian Cup ever held. "Asian football, thanks to our continued unity and strength, again has shown the world that our standards are rising." "The AFC Champions League final between eventual winners Kashima Antlers and finalist Persepolis once again captivated the world as a record 100,000 fans showcased the undeniable passion for football in Asia. Those exploits and the stars of the AFC Women's Asian Cup in Jordan feature on our list of nominees. "I thank them all and offer my congratulations to our 2018 winners and those who were shortlisted. We should all applaud their achievements. The stage is set for a dazzling night of celebration on Wednesday as Asia's finest stars gather in Oman for the highly-anticipated AFC Annual Awards Muscat 2018.